Home Heart Health Heart attack is most common in the early mornings. One fine morning, a 49-year-old young, fit, at a healthy weight, and didn’t smoke, drink, or do drugs – was feeling chest pain, along with the feeling he was going to throw up everything. Suddenly he collapsed on the floor, with symptoms were of a heart attack. Even though he didn’t fit the picture of heart disease or didn’t have the history of it. The heart attack can happen to anybody anywhere at any time. The studies have shown that morning heart attacks tend to be more severe than those that happen later in the day. The most dangerous time is the last phase of sleep and right after you wake up. Do you know heart attacks are five to six times more likely to occur in the early morning hours? What is the heart attack? The heart is a muscle and it also needs blood and oxygen to survive. A heart attack occurs when the blood flow that brings oxygen to the heart muscle is severely reduced or cut off completely. It could be due to blockage of an artery that supplies blood to an area of your heart. As the age progresses, the inner walls of arteries develop some plaques of cholesterol, fats and other substances. Eventually, these plaques get burst, the blood cells and other parts of the blood stick to the damaged area and form blood clots. This clot can block the blood flow through the artery to the heart muscle. In such case, the person may feel mild to severe chest pain. The heart may be deprived of oxygen and blood, which further lead to heart attack or myocardial infarction. Why is it common in the morning? 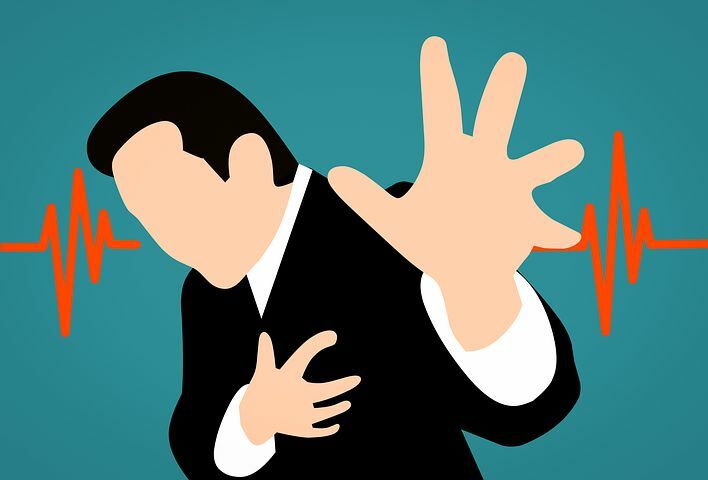 Heart attacks are more common during this period because there is a sudden increase demand on our heart, our coronary arteries are more constricted and our capacity to dissolve blood clots is diminished, a data published by the Philippine Council for health research and development. According to a study published in a cardiology journal heart, the heart attacks that occurred in the morning hours were associated with about 20% more dead heart tissue. In the early hours of the morning, your levels of PAI-1—a protein that prevents your body from breaking down blood clots, a major contributor to heart attack and stroke—spike. During the early morning hours, the blood platelets are stickier and increased adrenaline released from the adrenal glands can trigger rupture of plaques in coronary arteries. Your body also sees a natural surge in cortisol, taxing your heart. In a study performed on mice, it has discovered that the heart rate is slow in the morning with irregular heartbeats. As the heart loses the regularity of the beat, it cannot pump blood efficiently and a person can die suddenly. The data published in the journal Nature. It further links the risk between a protein, KLF15, and the body’s natural circadian rhythm. Early morning – when you wake up, our body and heart need more supply of oxygen to awaken the relaxed cardiovascular system. Also, more energy needed to perform other activities. Though it has often been assumed that this is partly due to the stress associated with going to work in the morning, a new study finds a more biological basis for the peak. The release of stress hormones like Catecholamines is important in stress responses. High levels cause high blood pressure which can lead to headaches, sweating, pounding of the heart, pain in the chest, and anxiety. Toilet strain – Heart attacks which occur during defecation are, in many cases, the result of using the (unnatural) sitting posture for waste elimination. Intensive and repeated Valsalva Maneuvers is needed for emptying the bowels in sitting position. Such excessive straining during defecation adversely affects the cardiovascular system. It indicates the occurrence of heart attacks in the bathroom often. It has been suggested that morning heart attacks are more of biological reason than behavioral. Our further write-up will elaborate on the causes, symptoms, and prevention of heart attacks.